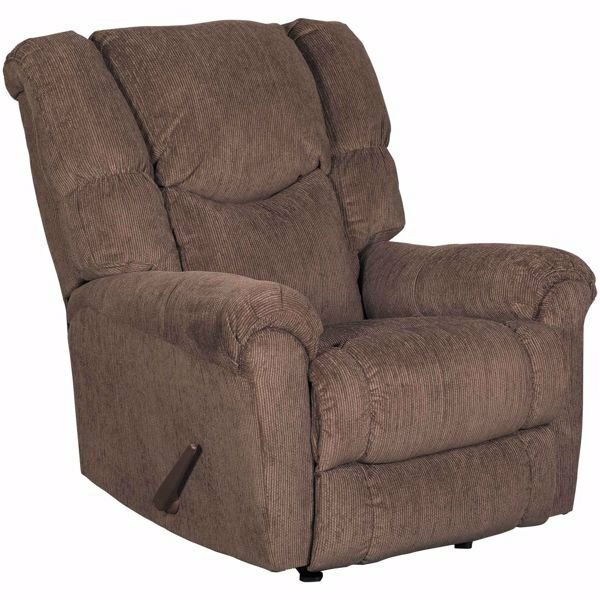 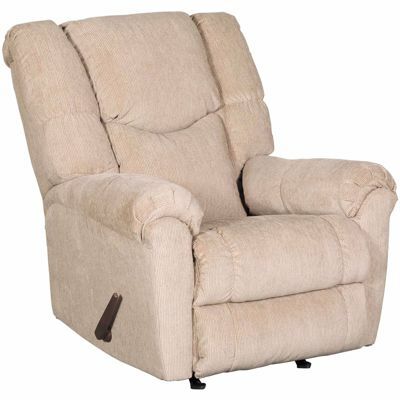 Quimby Brown Rocker Recliner from Lane Home Furnishings. 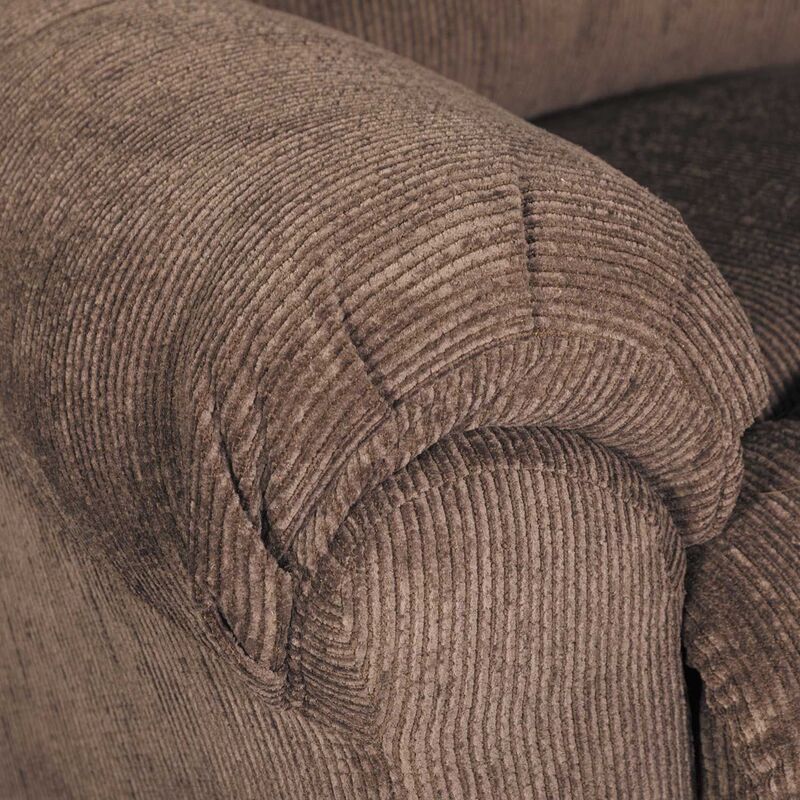 Covered in a taupe chenille fabric. 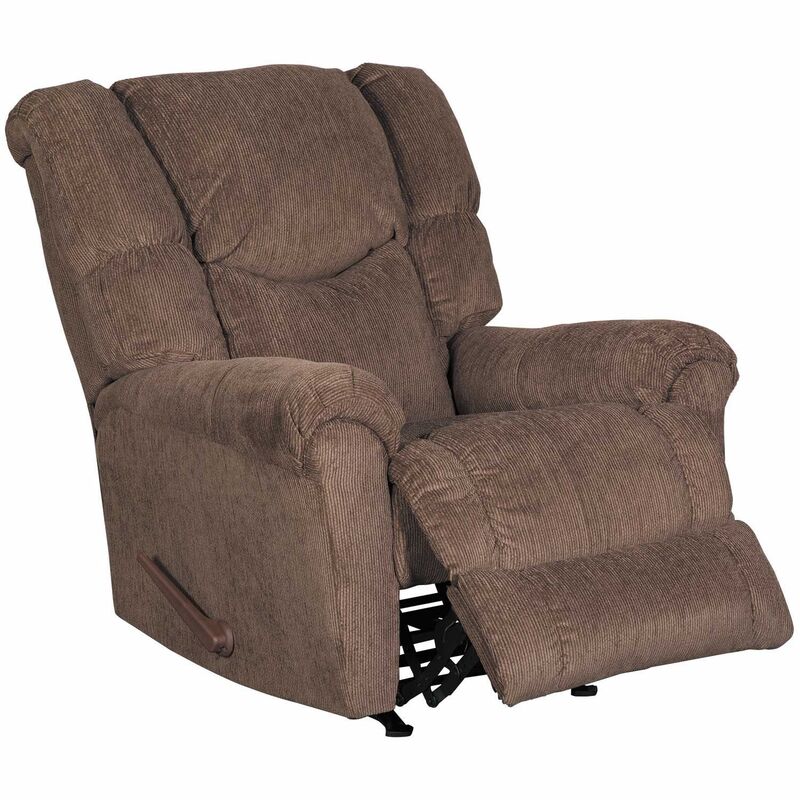 Reclining mechanism offers infinite comfort possiblities.